Can you believe 2015 is coming to an end? This year has flown by! I couldn't even catch up! My blog posts were few and far between but I swear that I am going to try to do better this year... a sort of resolution. I accomplished so much this year in my art and also in my life. So many changes, so many positive choices, some mistakes and lots of laughs! For this blog hop, you just need to leave a comment on each of the posts (links below) up to 24 entries! We are giving away an $80 USD to the online store of the winner's choosing. To be entered you need to leave a comment on my blog by 11:59 pm CST on January 3. 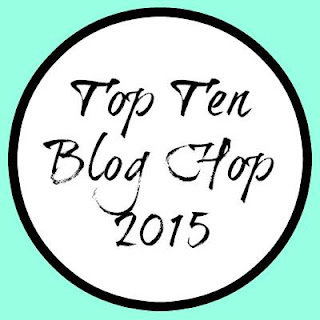 Then hop around to as many blogs as you want! Christine will choose a winner on the 4th and then I'll post it later on the 4th here. You can get up to 24 entries for commenting on each blog. Many of us have individual giveaways too - so make sure to check out those requirements. I will have details on my individual prize at the bottom of this post! This is an encaustic piece that I won 1st place at the New York State Fair Art Exhibit this year! I love this piece an plan to create more in the series! It's made on drawing paper, beeswax, Pan Pastels, oil pastels, Gold Leafing, charcoal, and Faber-Castell Design Memory Craft Stamper's Big Brush Pen. An art journal page with lots of Faber-Castell Design Memory Craft products! Love the Cicada stencil from UmWowStudio! Another art journal page with lots of Steampunk Gelatos colors! There are not many scrapbook pages here this year... I just love my mixed media projects, but I do love the colors and techniques on this page. My gorgeous friend, Nicole from NicoleJames Photography took this photo. It's a symbol of womanhood to me... strong and soft. This little mini album was so fun to make with UmWowStudio's tag book and stencils. LOVE the Faber-Castell Design Memory Craft products on here too! Even though my Ustream video cut out due to an electrical storm that cut my power during the filming, I still love this mini canvas! Someday I'll re-tape the process. I just haven't had the time lately! This tote bag was a favorite of mine to create and I love the mediums and stitching that I did on here! It's gorgeous and I always get complements wherever I wear it! This box was made for the Faber-Castell Design Memory Craft and Graphic 45 blog hop... I love this ATC box so much! All the little details with mediums, Gelatos colors, and metal accents! Another Ustream project... a canvas bib necklace. Love wearing this! 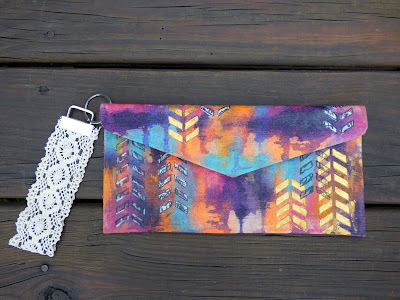 Another project that I did for a blog hop on Faber-Castell Design Memory Craft blog... clutch purses are so fun to make. I think I'll be making more to match different outfits! These last two are more encaustic work that I love. I make the above when subbing for a professor at a nearby University this summer! I was so honored to be asked and enjoyed the time to make art with students who inspired me! The below was a gift to my mom and dad for Christmas. 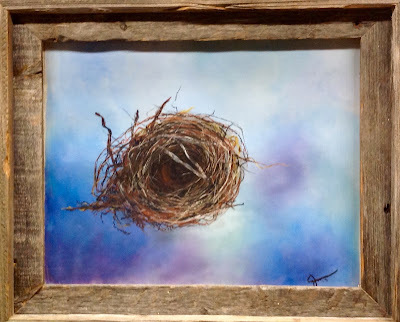 Empty nest symbolism but the colors were so soft and the nest was from a photo I took of a nest in the Adirondacks this summer. So a few more than 10 but that's okay... I love looking back at how much I did accomplish this year in art making. Even if I didn't share it all here, I love reviewing the past year and looking forward to a new artsy year! Leave a comment here and on the other blogs and you could win a gift certificate of $80 for a store of your choice! 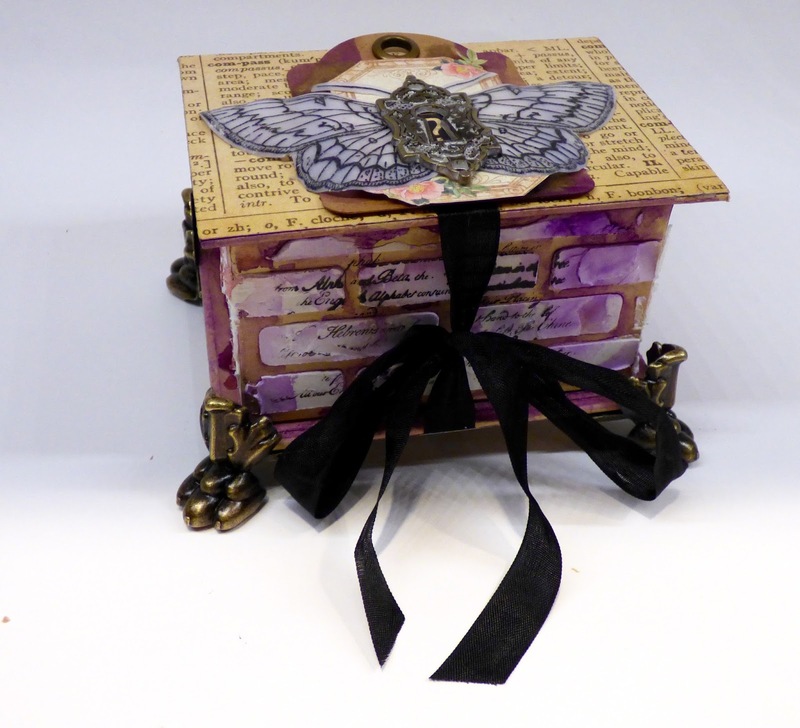 I am also giving away a Faber-Castell Design Memory Craft Steampunk Gelatos set! Comment here by 12:01am on 1/5/16 and I'll choose one lucky winner! Check back on 1/5/16 at 8pm and I'll post the winner! Happy New Year and happy blog hopping!! Can't believe nobody commented yet! I definitely want to get more artsy in 2016. Thanks for he inspiration. Awesome creative projects! Love your projects with the nest. Just wow and wow - awesome work - the tote is my favourite. These are truly works of art and I love the range of projects! Very artsy and unique! I love that tote bag! I'm not a scrapbooker so I especially love the pages with different types of work. The pieces with the bird nests are wonderful. I enjoyed seeing the different techniques and materials used. You have such a fun, unique style. I love that your projects are so varied. You're a Renassaince artist! Wow! I love your projects! Congrats on taking first place at the New York State Fair Art Exhibit. 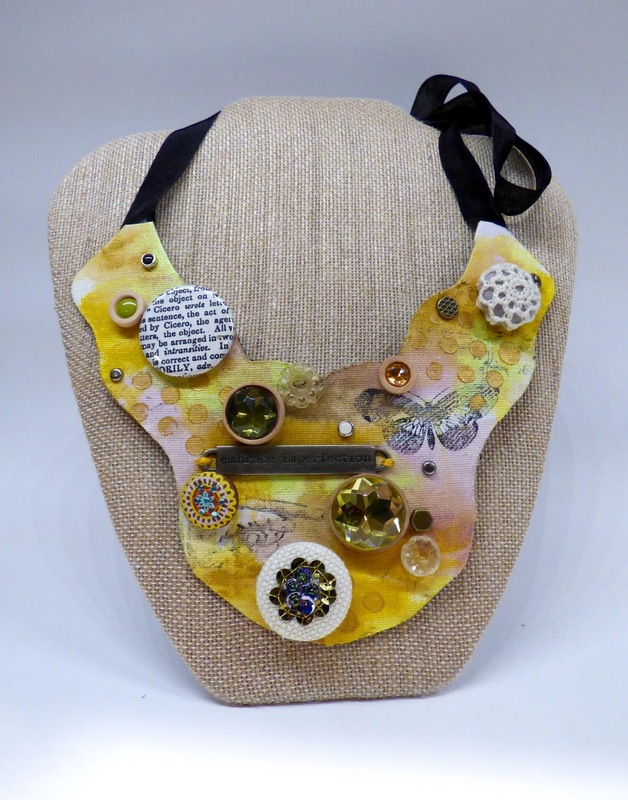 Your encaustic pieces are truly remarkable!! I love your style and art journaling. I really want to try the gelatos. Beautiful work. Such a variety of projects. You are an excellent artist. i love that box think has butterfly on top? My favorite is the little mini album, with the from the heart circle. Beautiful projects! I love your mix of colors and the dimension! The clutch purse is awesome! You have such an artistic flair. Very distinct. 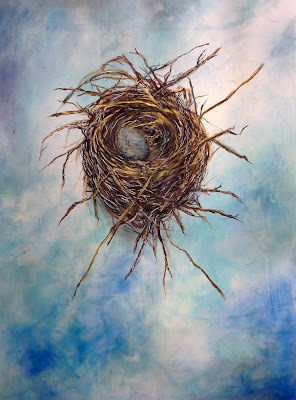 Love the nest entitled "Home". Thank you for sharing. I can see that your projects can be very time consuming--so creative. Your artwork is always so inspiring! I love your use of paints and the different media. I know I have used it more because of you! And my gelatos of course! I love the Faber-Castell Design box, may have to think about those as gifts for some special people. Thank you for the inspiration. Your work is so amazing!! You're very talented! Wow!! You are so artistic! The nest pictures you made are both gorgeous! really enjoyed looking at your creations! I love the birds nest picture. Increíbles!!! No puedo elegir uno solo,me gustan todos!! Pero los nidos de pájaros son hermosos!! Loving the nests. Great textures and colours in your various projects. Your work is very unusual and wonderful and full of things I've not seen before! Thanks for sharing, now I go have to go lookup encaustic! These are beautiful! Happy New Year! Fabulous work...just amazing!!! I love it all! Your projects are so artsy. I love the little clutch bag. what beautiful work! I am envious---I cannot accomplish what you do...but I am determined tho get out of my comfort zone this year! I really love your beautiful and artsy style. It is definitely not for me to create, but I love looking over them and all the details! You create such beautiful things! So happy to hop along with you. 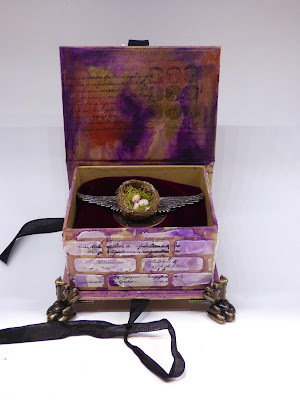 I love the messy mixed media and it is something I want to do more of this year. Fantastic pieces, congrats on your NY State Art Fair win!!!! love your work so inspiring! Great to be hopping with you! I love that piece you did for the fair. Congrats on the win!